OK, I don't know how many of you listen to K-Love. It's a national Christian music station. It's all I listen to. I love it. On Mondays they have "Make a Difference Monday" and people call in and share something that they have done for someone esle...maybe even a complete stranger, or something that was done to them to make them feel special. It could be something as small as buying the person behind you in line at Starbucks their coffee....or maybe you see someone who looks distraught and you actually reach out to that person and ask if you can pray for them. I heard a story about that once. This lady was at the end of her rope, contemplating suicide, just devastated with her life. She was at a Wendy's and someone saw her and felt the urging of the Holy Spirit to go talk to her. I don't know exactly what she said, but something like "I'm not sure why, but I have this leading that I should pray for you. Do you mind if I sit and talk a bit?" The woman was amazed and gracious and after an hour of talking ended up accepting Christ and hopefully that one small thing changed the course of her life. You just never know the impact that you can have on someone. So, for this contest, I want you all to share your stories from this forum. Tell me something that someone on this forum has done to help you, encourage you, uplift you, or make a small difference in your life. No matter how big or small...I want to hear the stories. Everyone who shares will receive a gift from me, as well as the person that made a difference. It won't be anything huge, like a kit or anything, but I will send you something. My way of thanking all of you for being the awesome ladies that you are. I could probably write a book on all the ways that certain members have helped and encouraged me, but I want to hear from you. This contest will run through the end of March, so it will end before the Ebony Baby contest starts. If you are new, that's ok...reach out to someone you have a month. And ladies that have been here awhile...go out there and make a difference for one of our members. They will never forget it, and the cool thing is, most of the time the "giver" is the one who is impacted more than the "recipient" It's amazing how it works like that. But giving a bit of yourself and not expecting anything in return for it will do incredible things to your heart, mind and soul. I promise you it will. Karen, Lara, and April all helped me out when I was just starting. April made some clay eyes for me and didn't charge anything. She also gave me some Carbon Black for the vampling class without asking for payment. Lara gave me a hemostat when I purchased my Serenity for my very first class. Karen gave me enough paints to do the "Beautiful Baby" ebook, which was what helped me get started a whole lot sooner than if I had to buy all my paints to start out. I thank everyone here on REAL for helping me when I was just starting out, the encouragement and knowledge shared is priceless! I would like to say, that everyone here has been wonderful, and helpful to me....so I can't really just pick "one". Im the last two years that I have been on here, you all basically know my life story. I have now been taking care of the three most wonderful people you would ever meet in this world, and I believe that God has put me here "just for them" what you ALL, have taught me....Is how to take care of myself, and ENJOY something for myself. I don't get out much, because my peeps need 24 hour care. That leaves little to no room for friends outside of taking care of them. I am so blessed to have met some of you at Rachaels house, and even though I was in a lot of pain...... You all made me feel better. LARA: You have been instrumental, in helping me come out of my shell, as I am normally a very reclusive person, and I tend to try and stay in the background. You, as well as the other ladies here, have helped me know......that there are others out there...just like me. I just want to tell you a little something so you will know....where Im coming from. Growing up, I had little love, a lot of abuse, and a lot to be scared of. My mom in law and I were just talking the other day, about how we used to go out shopping......and I would be scared to death, to lose her, so I would hang onto her shirt.....FOR GODS sake....I was an adult!! Here I am 25 years later thinking on all of this, and I think it has to do with the fact, that I wasnt taken out in public, so I didnt get to learn about people. Oh I went to school....but that was it. So...once I grew up, I was terrified of everything and everyone. Once I started reborning, a door opened for me, and now I feel as if I can do things for ME. When I went to Rachaels home in July....that is the first time....I have ever driven myself out of My area....and I have everyone of you....as well as my peeps for showing me that the world is not as bad as I thought it was. I could go on and on.....but now I think Im rambling. I think you get what Im saying. I just simply could not narrow down my choice to just one person, and I would like to express my sincere gratitude to these three outstanding ladies. Barb and Trish you both are unfailing in extending your warm sentiments and words of welcome to each and every new member. When I was brand new your kind works felt like a promise that nothing but hospitial experiences await, you are both genuinely happy when new people join and outstanding in your ability to make each newby feel comfortable and at home on this forum. Thank you for your sweet personal touch that you add to this forum. Karen, you are a much loved and very important member of this forum, you have helped me learn from your own experiences. you are alway willing to share your knowledge, and you are always quick to respond. For me the thing I love most about you is your truthful advice, good or bad, and never sugar- coated your honesty is so refreshing and you mean the world to me. OMG! !~ How did I forget to mention miss karen!! Im so sorry for that. She has also been instrumental to helping me come out of my shell......no more turtle LOL..........Im sure glad I re-read what I wrote. I usually wrte from the heart, but imno proofreader. from now on I'll wear my glasses when I post. Well for me it is each and everyone on here (sorry Lara) but I am a loner also. and I just look forward to this forum very much. But for someone special. I would like to thank Rebecca, she gave me a lovely surprise when we did a trade, she gave me two babies, not just one. Also I got a christmas surprise from Karen, she sent me a baby I knew nothing about for Christmas 2011, she sent it to my daughter Lyn. I would like to thatnk Lara, sharon R and Karen. I met Lara last year at Sandies. I had been running crazy the first day of the class and when I was about 5 miles from the class, I was called back to my office for an emergency. I had to drive 2 1/2 hours back to meet state surveyors in a terrible rain storm. When I got a moment to breath, I called to appologize for missing the class and although I had only been reborning for a few months, I was about ready to give up. I was invited to come down for the second day of class although I knew I was way behind. Lara patiently got me caught up throughout that day. I was so impressed by her gentile kindness and I have been reborning ever since. It was hard to explain the feeling I got from Lara when I first met her but now know that she too is a sister in Christ. Karen Thank you for always be willing to respond to my redundent questions with kindness and sharing your wealth of knowlege. Katharine from Baby Hugs Nursery, she is a member here but hasn't posted, was a HUGE blessing to me. I was looking for Meg and she would never go on sale and I just didn't have $40 to get her. Katharine had the kit and emailed me and said that she had the kit and would give it to me for just shipping. But she didn't just want to send me Meg, she wanted to send me 4 other kits for a total of 5 kits for JUST shipping!!! I can't thank her enough for her generosity. It meant so much to me. Kerri, that's awesome! And, it reminds me that I was negligent in mentioning Rebecca, she gave me two kits to strip for just the cost of half of the shipping, but I completely forgot to send her my half (it really really scares me how forgetful I can be, no joke) and she said not to worry about it. How sweet is she?!! And Lyn! She said she would buy my Tabatha for the naked baby contest if I would purchase hers (with money she sent to me) and mail it to her (with money she sent to me) in exchange for making her a pair of moccasins for her Native American Indian baby. (I didn't think that was enough, so I sent her an entire outfit along with the moccasins.) 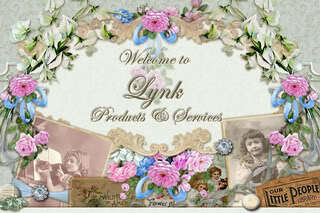 THANK-YOU Lyn! And, Lyndie, who wanted an outfit for a BJD but didn't have it yet, and got me a Morgan kit because I needed one for my vampling...and she still hasn't "collected" her side the deal. Lyndie, anytime you're ready for that outfit, let me know! 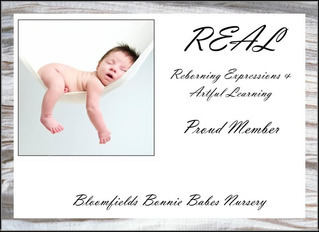 Wow, there are just so many ladies on REAL that make this an awesome place to be! Audrey doesn't come on as much as she used to, but whenever I would read one of her posts, I almost always ended up smiling if not laughing! Lori, thankyou for thinking of me. It means alot to me that you remember me. I really did enjoy greeting the many wonderful ladies who joined this forum. I would like to thank all the kind and wonderful ladies here who have posted and commented with me over the last two years. It was the first forum I had ever belonged to and it was the first time I ever had contact with other reborners. ALL of the ladies on here are just wonderful!!! I didn't even mention how Lara is doing a swap with me so that I can finally get my hands on a Gus kit. I am crocheting her some outfits and she has Gus and we are trading. I have been searching high and low for that kit for trade as again I have expensive tastes but a pauper's pocketbook! I love this board! My heartfelt thank you goes out to a number of ladies Rebecca for all the help she has given me, Lyn for putting up with me regarding my computer problems and helping me set up the a computer program which is working great, but I'm very fortunate to have found a wonderful friend on here. Maxina she has been so supportive in my personal life with my hubbies health issues which are many, when I lost my Brother and everything that happened then, looking after my Mum and Dad then Dads brain tumor and the surgery that followed trying to keep strong because Mum and Dad needed me and being there for my hubby with all of his surgery's now we have been told Dad has to have brain surgery again as the tumor has come back. Problems with our son because of all the health issues. I feel that Maxina is the sister that I never had I have been able to talk to Maxina any time she has always been there for me, she sent me many computer program sites for downloading embroidery patterns and when our Great Granddaughter was born she sent the most beautiful outfits so many of them it was such a wonderful gift for Sienna. Our granddaughter Jessica and her partner were so thrilled and very appreciative for everything. Choosing just one lady or situation is impossible but the one that stands out to me is a very indirect influence. It's one of those "by example" moments. Janie/Nightingale has helped me in ways she'll probably be amazed at. Her courage and strength in the last year or so as she faced her health challenges has been a beacon of light for me. With only rare moments of feeling overwhelmed she showed us all, and me most especially what a true heroine is. Every time I felt inclined to indulge in a pity party for how difficult and sometimes drama filled my life is ... I would come here and read everything that Janie has posted. It helped ground me and balance my perspective. Oh My!!!! 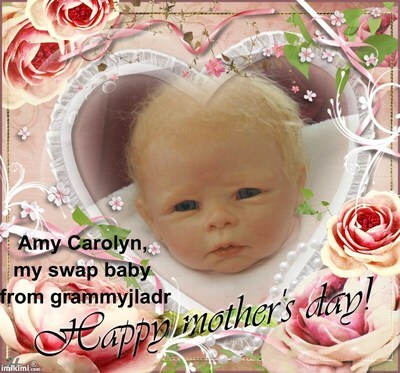 Where do I even start, firstly this whole forum has helped me immensley with my reborning, I have loved each and every one of you along the way. But there are a few special people too. Karen, Audrey, Rachel and Becky, whom all have helped with US purchases that I otherwise could not have got. Loretta and Janie for patterns and emby patterns sharing, I have had a wonderful time in our swaps. Joy, now where would I have been during my stay in Melbourne last year with Steph's pregnancy problem. You were there to listen to our problems and offer advice but mostly jsut a shoulder to hel[p bear the problems and burdens faced with her pregnancy requiring me to go and assist with the household and looking after grandkids with their day care and kinder runs. Next but definitely no means least is the one person I treasure the friendship of immensely. she has been there through thick and thin, emails, swaps, sharing back and forth is Maxina. Maxina does the most exquisite work which has also prompted me to get back into my crocheting and sewing in a big way and I also treasure our friendship too. Lastly Lara, where would we all be without you and this wonderful forum that you started with what has to be the best online teaching portal I have known. Lara, I do not envy you in the slighest having to go through the posts in answer to your questions.....it is going to be a massive job.......but thank you for being able to read all of the lovely posts that have been put in. What a GREAT FORUM this is. I appreciate it so very much and it makes me feel loved by a lot of people I wish I could meet, but know that at my time in life, I would need a lot more time and money.......but I love you all for all the kind remarks that have been made by you all, even those not meant for me. They will have brightened someones life immensely. I have to say that this is such a wonderful forum, with such a wonderful caring group of ladies, that have all been very helpful and encouraging, and always there to help when you need help. And I am grateful for all of the kindness and support from everyone while I have been going through this difficult time with two major surgeries back to back. I do have to say though for me that the one person who stands out would be Karen. She is always there to answer my questions, and has also helped me when sometimes some people will not ship to Canada, she has volunteered to help me out. She is always there with a quick answer if I have a question, and encouragement when I really needed need it, especially before my first surgery. Thank you Karen. I have to say all the ladies on this forum are wonderful. When i first joined and wasn't even sure what oven to use Karen was right there to give me advice and i really appreciate all the help she has given me. This is such a great idea! Gosh, where do I start? I am a newbie on here but ever since I joined, there have been so many nice people that I have corresponded with! To choose just one...that's hard! For starters, I want to thank you Lara! If not for your informative dvd, I may not have found the Real forum in the first place! Your dvd was very user-friendly & I learned a lot. You gave me the motivation to keep going with the whole rooting business (I was ready to throw in the towel, lol & stick with wigs). You've also been so kind in giving me advice on tools & tips. And Karen...you are just awesome! You have given us newbies great advice! I now know where to buy good quality mohair! And the logos you make are so cute (& you are so quick to make one & post it!). 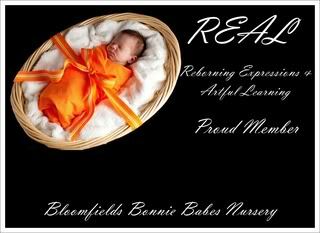 Rachel (from Orange Grove Nursery)...glad to have you on my facebook page! 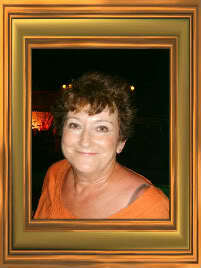 ...Rachel (from Orange Grove Nursery)...glad to have you on my facebook page! Well, this contest was super fun, and I enjoyed the stories. Now for the gifts! If you submitted a story, please pm me with the ONE person you want something sent to from your list, and their user name or email addy, so I can contact them and get their address. Some of you listed a hurl load of people. I want to send the gift to someone who really made a difference in your life....not someone who loaned you a pen. Make sense?